A whispered plea transcends time. 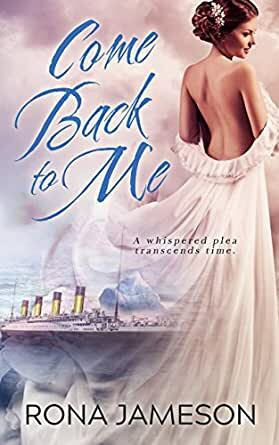 When Esmé Rogers meets Luke Carlisle in 1987, she never expected to end up on board the Titanic for its maiden voyage from Southampton to New York in 1912. But what started with confusion and questions turns into the greatest love of her life. As the date of the ill-fated sinking of the ocean liner approaches, Esmé questions whether or not she should try and change history. However, one question keeps coming back to haunt her: Does she survive? With frigid waters and a predestined collision on the horizon, can she change the fate of those she loves? Loved this book-a little steamy romance suspense and an imaginative plot. Characters are believable and well drawn. The Titanic as background is interesting-well worth reading-I read the entire book in one night! I was pleasantly surprised about this book. I loved the background of the Titanic as a plot point. The characters were very well drawn and the story was excellent. Would recommend this book very highly to anyone who likes time travel and historical romance. Love Love Love!!!!! Enough Said!! !